In model setup, customers requirements regarding model quality and modelling have to be considered. Mesh quality is depending on the loadcase observed. Smaller elements will be used for component design (strength, stiffness). From these fine models, rough models can be derived for occupant simulations with larger time steps. If needed, assembly simulations can be performed to calculate pretension on springs, foam or cover materials. The resultant field of tension then can be implemented in the model. 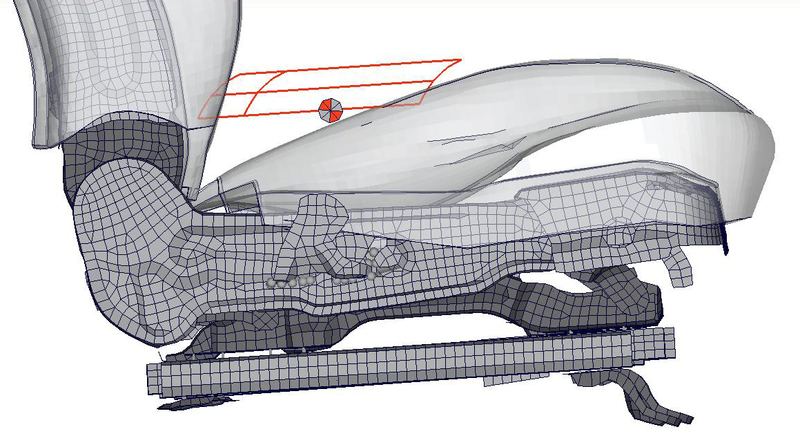 For later uses within occupant simulation, all seat adjustments have to be modelled. This task we do in the usual pre processors as ANSA, VCP, Primer or Hypermesh.